Meghan Markle stunned in a white shirt and black skirt as she and Prince Harry honoured military veterans at a special awards ceremony this evening. The Duchess of Sussex and her husband celebrated the achievements of wounded, injured and sick members of the Armed Forces community who have taken part in remarkable sporting and adventure challenges over the last year. Former Suits actress Meghan opted for a monochrome look from her wedding dress designer Givenchy for the occasion. It was her first public appearance since her friends defended her in a row with her family. 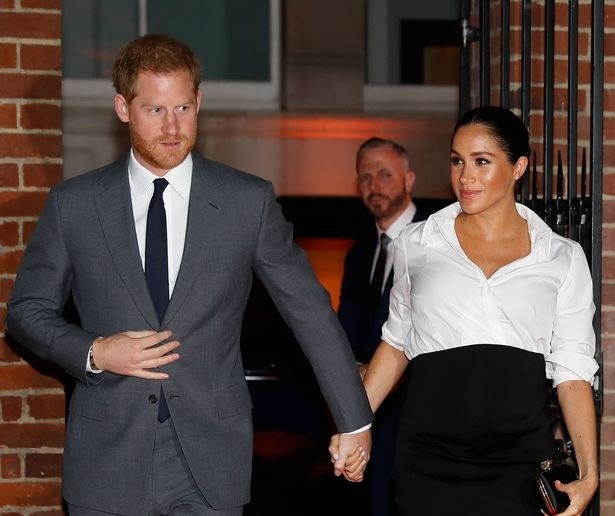 As she arrived at the event, Meghan cradled her baby bump and reportedly said Prince Harry will be "the best dad".